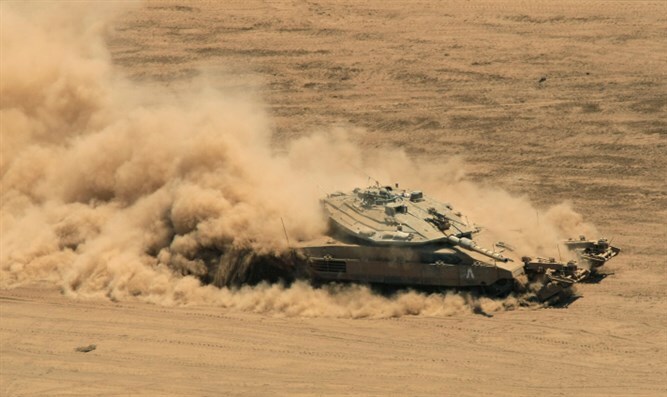 This morning, the IDF Fortitude Forum, a non-profit organization which aims to ensure that IDF military strength is not compromised at the expense of other factors, blasted the planned deployment of three tanks including 13 graduates of the first program for female IDF tank soldiers, for operational activity along the border in southern Israel. "The terrible attack that took place on Friday in northern Sinai, only 100 kilometers [62.5 miles) from the Israeli border, proves once again how the seemingly quiet borders can become a battlefield in an instant," the Forum noted. "The placement of these tank crews to guard the borders endangers them and their male comrades, as well as the very ability to fulfill the task of defending the country's borders," the Forum asserted. “The time has come to halt the unnecessary insistence on integrating women into positions that don’t correspond to their physical abilities. The time has come to stop the fictional race to [superficial] equality and to examine the operational implications of integrating women into operational roles."